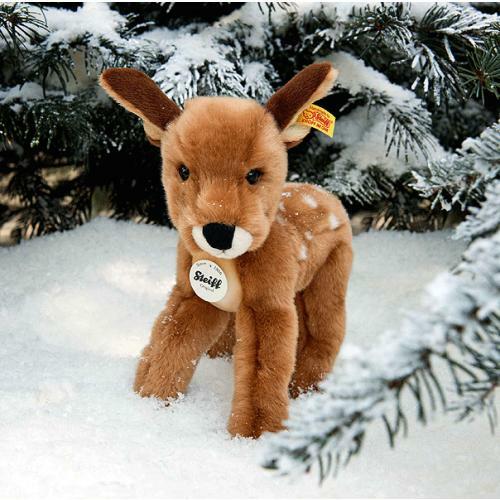 Feli Fawn is hand made by Steiff, in the finest brown cuddly soft plush. 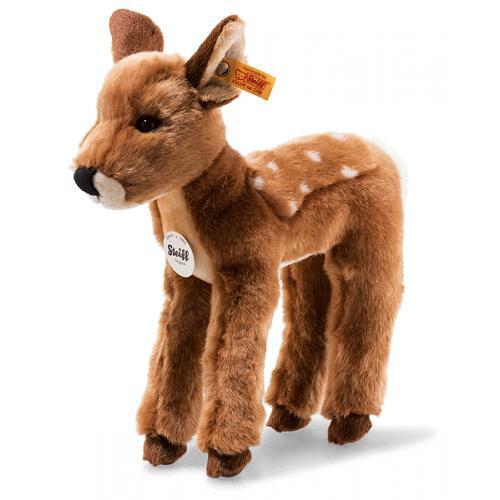 The 26 cm tall Feli fawn is made of soft and cuddly plush fabric. Supporting rods in her legs help her maintain her stance. An intricate airbrush technique is used to sculpt the corners of her eyes, nose and mouth. The edges of her ears, her chin and her chest are shaded in brown tones. She features tender yellow inner ears, a yellow-cream stomach, a white tail and a brown back with cute white spots.